Increased risk factors and natural changes that accompany age, leave seniors more susceptible to an array of chronic health conditions. Even with increased life expectancies, cancer, heart disease, diabetes, stroke and chronic lower respiratory disease are the leading cause of deaths. Yet, through medication and lifestyle choices, we are able to enjoy longer lives. Assisted Living communities help residents maintain active, healthy lifestyles, while ensuring medications are taken appropriately. The medication management systems help to reduce the possibility of drug interactions that can occur when prescriptions are not taken as directed by a physician. The advancements in modern medication, help seniors enjoy a higher quality of life, yet they also come with potential hazards. Medications pose the risk of toxicity and adverse drug interactions, though older adults who take a combination of prescriptions and over the counter medications are often at the highest risk. 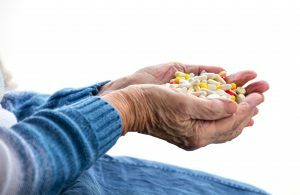 Mistakes involving medication are among the top reasons many seniors transition to an assisted living community. Whether it’s missing doses or taking too many pills, these oversights can be fatal. According to a white paper from the Center for Excellence in Assisted Living, a third of emergency room visits by older adults are caused by adverse drug events. No matter the reason behind the transition to Assisted Living, both seniors and family will enjoy an added peace of mind knowing that there will be medication reminders, transportation to appointments and other “safety nets”, all while preserving independence. Assisted Living offers a more affordable alternative to traditional nursing home care and provides a more comfortable, home-like atmosphere. At Regency, increased quality of life remains an important area of focus as we balance independence with a helpful hand and added safety precautions. Our medication reminder program ensures that residents receive the appropriate dosage, of the correct medicine, at the correct time. We work with the prescribing physicians to verify prescriptions and coordinate medication regimens. Each of our staff are thoroughly trained to provided the highest levels of care possible. While it may not be a prescription, we believe a healthy, balanced diet is critical. Working with nutritionists and dietitians, our chefs create meals that are delicious and nutritious. We also factor in chronic conditions, such as diabetes, into our meal preparation. Additionally, our activities calendar is filled with an array of activities to keep seniors active and engaged. This helps to foster social interaction, which has been proven to increase longevity and overall happiness. To learn more about Regency Tuscaloosa and the programs we offer, please call 205-752-5500.